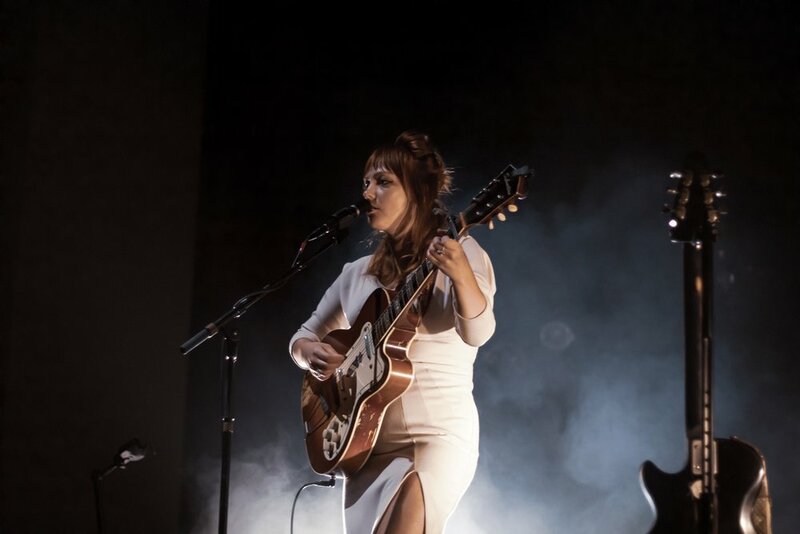 Angel Olsen, indie rock singer-songwriter from St. Louis, Missouri, set out on her Tiny Dreams Solo Tour in California at the beginning of September, planning to end the U.S. tour at the end of the month in Massachusetts. 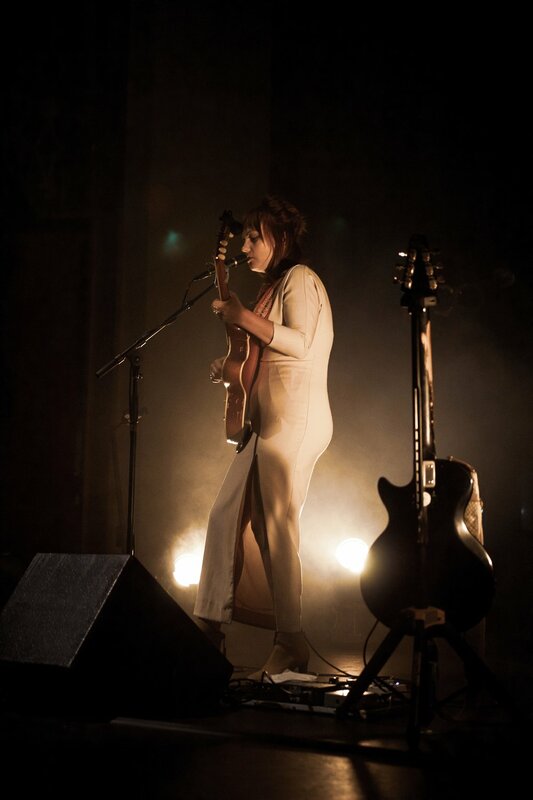 This spring she will continue solo sets on tours in Australia and Europe. The singer’s most recently released album Phases came out in November of last year, and although she has not publicly released any new music since then, her set included old and new music that has yet to be heard by anyone. Angel’s solo concert in the Paramount Theater in downtown Denver was an experienced that has to be lived through to fully comprehend. The concert/play hall’s chilling acoustics and Art Deco interior made the melodic sounds of Olsen’s dreamy tunes captivate a seated audience in a way that most concerts can’t achieve. The intimacy was unparalleled when the audience is simply listening and feeling every word sang by her. Although there were slight technical difficulties with an amp, Olsen talked and laughed with the crowd in interactions that brought a smile upon anyone listening. 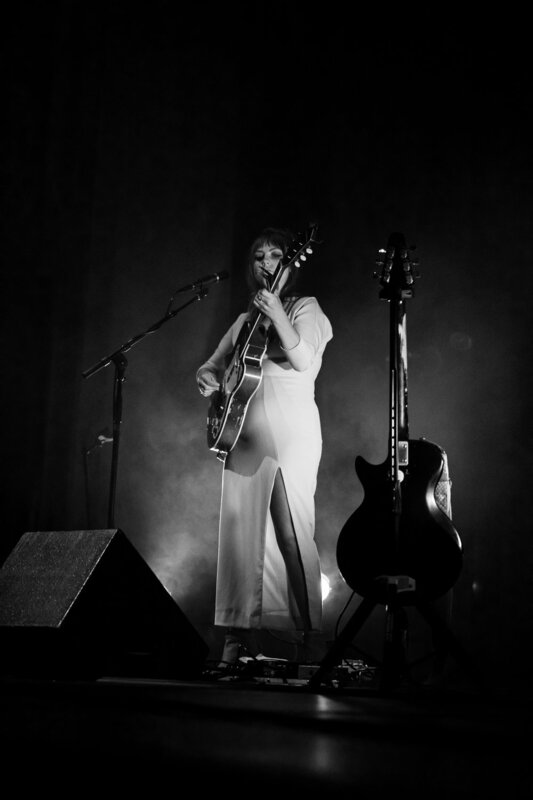 Angel Olsen charmed the audience with more than her sound on Monday night. Being alone on stage means being the center of attention, and that is what her stage presence screamed. With warm light coming from below, darker background lighting, and no shortage of fog, Angel looked like exactly that—an angel. The light bouncing off the smoke and reflecting from her guitar made the experience somewhat unreal. 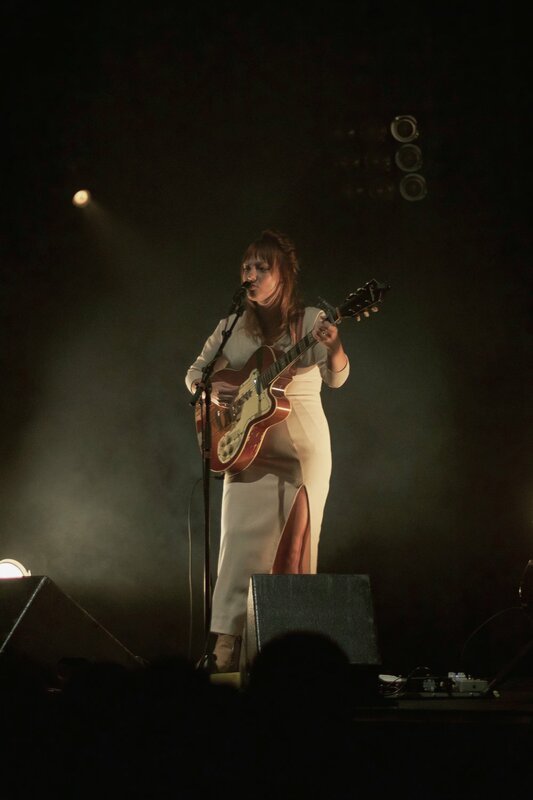 Overall, Angel Olsen’s concert was incomparable. It was beautiful and entrancing and perfect in every way. 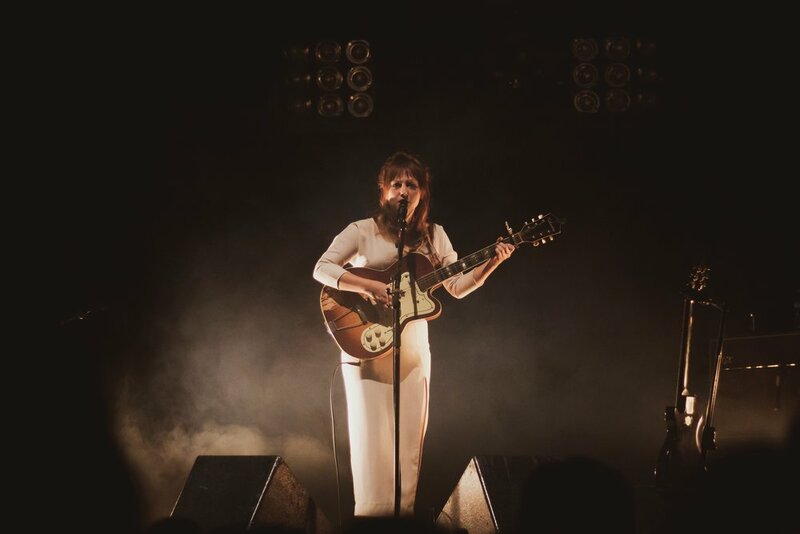 With a perfectly cohesive opener, Hand Habits, and a perfectly lovely venue, there is nothing that could beat the feeling the audience was left with that night. One can only hope that her new music will be released soon, in hopes that those feelings can be felt time and time again.